Once a year in Frankfurt some 60,000 runners gather to run with their colleagues in the JP Morgan Corporate Challenge. It's not exactly a serious run, as it's only about 6 km or so and there are so many people that you really can't go for a personal best time (I think it took me 40 minutes). 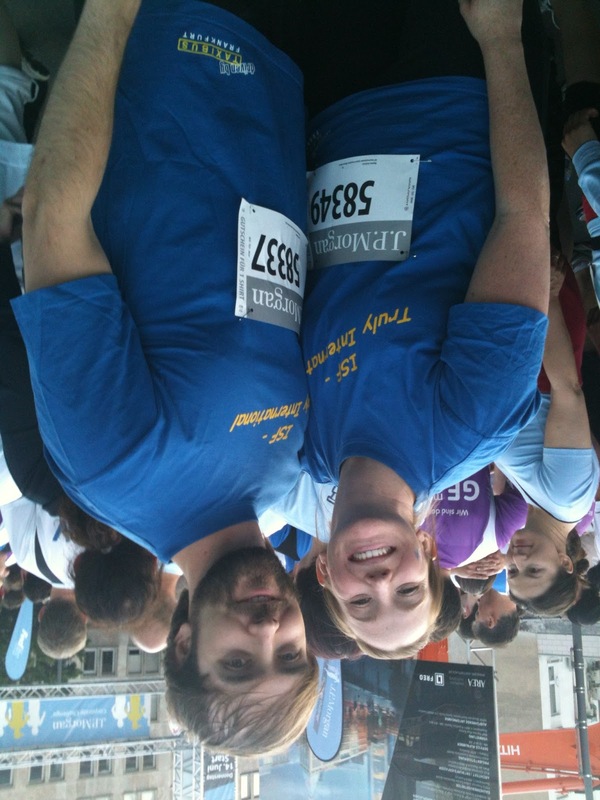 Marisa and I ran it this year for the second consecutive year with some co-workers from school. It's actually a really fun run because there are lots of fans along the route, cheering for their colleagues, in addition to lots of live music along the way. Every company or organization also has a team shirt, so it's always entertaining seeing all of the team colors throughout the course.